Get all your scores here! Assassin’s Creed 3 is now out in the US and will be releasing worldwide in just a few hours, and the reviews for one of the most anticipated games of the year have started coming in. They’re good! The scores have been solid and promising, and while the game is being criticized for plenty of technical issues, bugs and glitches, its story, naval battles and enjoyable gameplay are being lauded, as everyone would have expected. There is so much story, so much multiplayer, and so much stuff to do that your average 10 hour game should be terribly ashamed of itself. In this economy, you can’t do better than Assassins Creed III. With a campaign offering anything up to 70 hours worth of gameplay, not to mention a comprehensive multiplayer mode, Assassin’s Creed 3 is one of the most complete action-adventure games we’ve ever played. This game is an amazing new iteration for the Assassin’s Creed saga, a worthy successor to its awesome predecessors, and an epic tale where you can enjoy the incredible amount of work that Ubisoft surely invested on it. Here the American Revolution feels alive and fresh, and it comes with a multifaceted and human hero: the memorable Connor. An overwhelming experience in its own right, Assassin’s Creed III is the crown jewel on an already excellent series, and it sets the mind reeling about the potential for where the story goes from here. While it’s a little slow to get going, Assassin’s Creed III is a rewarding, elegant game on many levels. It understands that everyone plays open-world games differently, and provides plenty of incentive for players to tackle its quandaries how they see fit. The sheer variety, overall quality, brisk pacing, massive amount of content, and satisfying story make it easy to forget its few rough spots. Heady and well-informed, Assassin’s Creed III is the polar opposite of a guilty pleasure. Assassin’s Creed III is an amazing game, period. Tons of stuff to do, tons of animals to hunt, the magnificence of the Frontier and the pleasure to sail and be a privateer makes this game the best of the series so far. 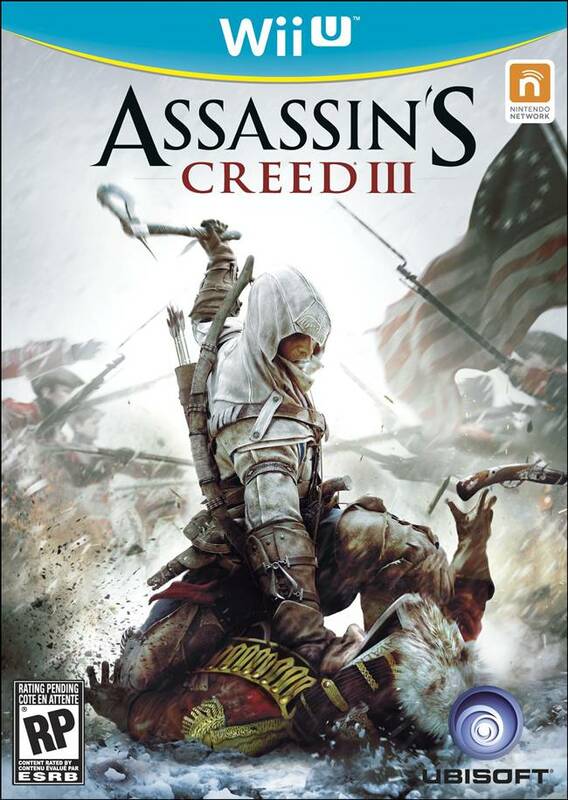 Assassin’s Creed III might not be as revolutionary in itself as the historical period it covers, and it still has some shortcomings that may annoy old timers of the series and newcomers alike, but its generosity, the unbelievably high quality of its writing, particularly the character of Connor, the political and societal questions it weaves into its Templar / Assassins storyline, and the overall generosity of its content more than make up for it. It may feel constricted inside our current hardware, but manages nonetheless to push back its limits, combining the proven formula with new gorgeous elements both in the solo and multiplayer aspects. The biggest and richest Assassin’s Creed game to date – maybe not the best, but a place where, for want of a better expression, everything is permitted. Not everything about the game gels together convincingly and the missions’ unnecessary prescriptiveness sometimes undermines the sense of freedom that the rest of the game works so hard to create. But it achieves so much that you can’t help but respect it; no other open-world game has ever given us a setting that’s as impressive to observe or as full of things to do as this. Following lessons by masters Altair and Ezio, Connor brings key new features to the Assassin’s Creed series. Naval battles and leafy wilderness areas full of animals and tall trees fit nicely with the well-built historical setting of this American Revolutionary War. Expansive and spectacular, only marred by inexcusable bugs, reduced draw distances, a slow-paced beginning and several AI flaws. Bottom line: does the game live up to AC II? Well, no. Ezio’s grand introduction is pretty damn hard to top, at least in terms of story content and franchise innovation. But that doesn’t invalidate Connor’s journey by any means. Assassin’s Creed III’s newly refined gameplay and incredibly rich setting are captivating stuff, and we’re excited to see what adventures lie ahead for our new hero. There’s a certain amount of diminishing returns on the mechanical evolutions made but the fresh, authentic setting along with a brand new protagonist go along way in rekindling the fire. Other games stimulate emotion with manipulative music and teary monologues; Assassin’s Creed III rouses your mind and your heart by giving you a glimpse into its characters’ souls and letting you judge them on their own merits. Exploring the beautifully rendered American east coast during the 16th century is a delight. The woodland nature areas provide a atmosphere and a sense of freedom that’s been lacking in the series previous installments. Variation in quests, innovative and well developed systems are the game’s strongest parts. Even knowing that I’ll encounter issues that make the game occasionally infuriating, I want to go back. And that, despite Assassin’s Creed 3’s flaws, is more than I can say for most games. Not the masterpiece we were waiting for, but still an impressive action game with superb art direction. The strongest aspect of ACIII is the more mature moral tone. A gargantuan, lavish historical epic, let down by shoddy mission design. Great, but not the revolution we were hoping for. A refreshed, rejuvenated Assassins’ Creed; a solid foundation upon which the yearly iterative release cycle can be maintained; and a sprawling, detailed adventure to enjoy. Assassin’s Creed III capitalizes on its historical setting in ways few other games do, hitting several perfect notes and even throwing the best curveball in recent memory. As a crescendo piece, it misses the mark completely. Occasionally iffy controls and a few mystifying design choices also knock down an otherwise solid effort. 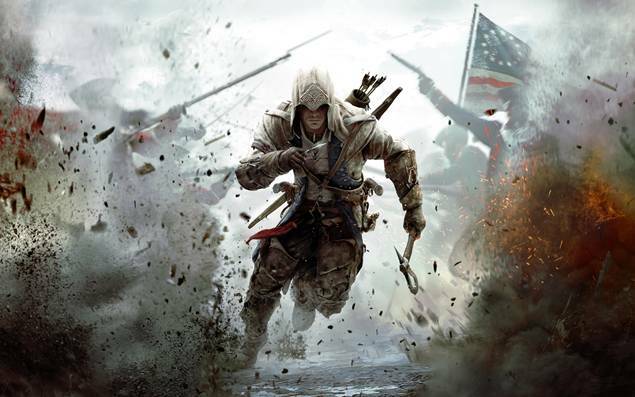 Cohesion (or lack thereof) is the main issue with Assassin’s Creed III. There are dozens of secondary elements which make up the content of the game, but they offer little in terms of reward and rarely contribute anything to the Assassin/Templar conflict. While the game is often quite fun, beautiful to look at and empowering to the player, it doesn’t offer much challenge beyond the endurance necessary to complete all of the single-player campaign elements. In a year when Dishonored and Hitman: Absolution have shown just how well stealth games can be realised, Assassin’s Creed’s take on unseen murder is stuck in the past – doubly so when we were led to expect so much more. We were promised a revolution, but very little has changed. It’s sad to see the game lose sight of its assassin role-playing ideals in favor of bombast, bomb blasts and pig herding, so I hope this is but a momentary stumble while the franchise regains its balance. Trim the excess, remember the central thrust (hint: it’s with a knife) and then you’ll have a great game again. As extraordinary as the scale and scope of this huge production can be at times, you’re left with a bloated reminder that bigger isn’t always better. Stay tuned to this page, we will be updating it regularly as we come across more reviews. We will also be posting our very own Assassin’s Creed III review soon, so keep checking back to GamingBolt. In the meanwhile, you can read our preview. Have you played Assassin’s Creed 3 yet? How do you like it? Fire away in the comments section below!